One the main pillars around which my research has revolved in the last few years is the development of real-time control strategies of public transport operations. I was fortunate enough to be able to put some of the control rules that were written on the whiteboard and programmed in the simulation test into the ultimate challenge, field experiments in real operations. 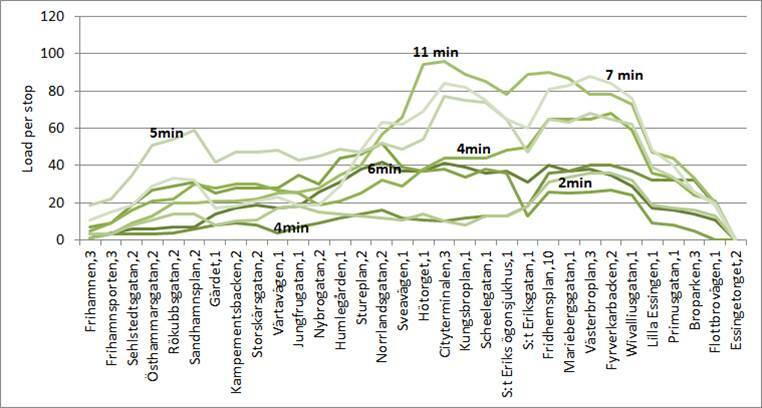 Based on the results of this study, the public transport agency in Stockholm requires when tendering the inner-city trunk lines operate these lines based on regularity. Moreover, the bus operator decided to shift to regularity operations even before the official requirement went into effect. Needless to say, this could not have been realized without the support and cooperation of colleagues, managers, planners, and drivers from KTH Royal Institute of Technology, Stockholm County Traffic Administration, Stockholm City Traffic Office and Keolis Sverige. I decided to set-up this page so that I can have and update in one location all related material which I hope can be a useful resource for anyone – operators, researchers and students – who might be interested in this topic and its potential applications. 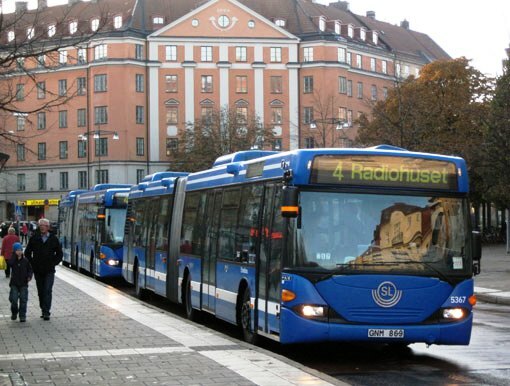 You can find here a presentation detailing the process as well as the key findings of the field experiments that were conducted in Stockholm for mitigating bus bunching and improving service reliability by applying a headway-based control strategy: Real-time control weblog summary. Below there is a brief description followed by links to study results (including the simulation analysis that preceded and accompanied the field implementation). An excellent explanation of how the bus bunching phenomenon emerges along with an illustrative animation of the underlying process that results with bunching and potential of using real-time control management is available on Prof. Carlos Daganzo webpage. Service irregularity and bus bunching also result with great variations in passenger loads – the overcrowded leading bus is followed by an underutilized bus. 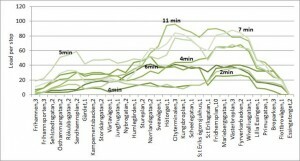 This is illustrated in the figure below which presents the average load profile for each peak period trip and the corresponding average actual headway based on data for bus line 1 in Stockholm. Note that buses that run with long headways are overcrowded while buses with short headways run with very low number of passengers on-board. This is the result of the underlying positive feedback loop which creates the bunching phenomenon. While the average capacity-utilization rate on line 1 may be 25% for the entire route (and 56% for seats-utilization), the utilization varies considerably over the route as well as between buses. In fact, average load on the most utilized line-segment approaches capacity limits for buses that run with an 11 minutes headway, while others never exceed the number of seats – even though they run in the peak period. Furthermore, there are time-dependent patterns even within the peak period. In contrast to previous attempts to implement control strategies for improved regularity, this demonstration relied primarily on a decentralized control system, where buses regulate their progress continuously based on the headways from the preceding bus and the following bus. The headway-based indicator was embedded into the already existing computer display that is located in the driver cabin, supplemented with a proactive fleet management approach by the control centre. It should be stressed that the project benefits were achieved without an investment in infrastructure or technology. The performance and level-of-service were improved solely by introducing a new operations strategy which utilizes the existing equipment. A simulation study has investigated how real-time control strategies could potentially facilitate a more regular bus service (Cats et al. 2011, 2012). 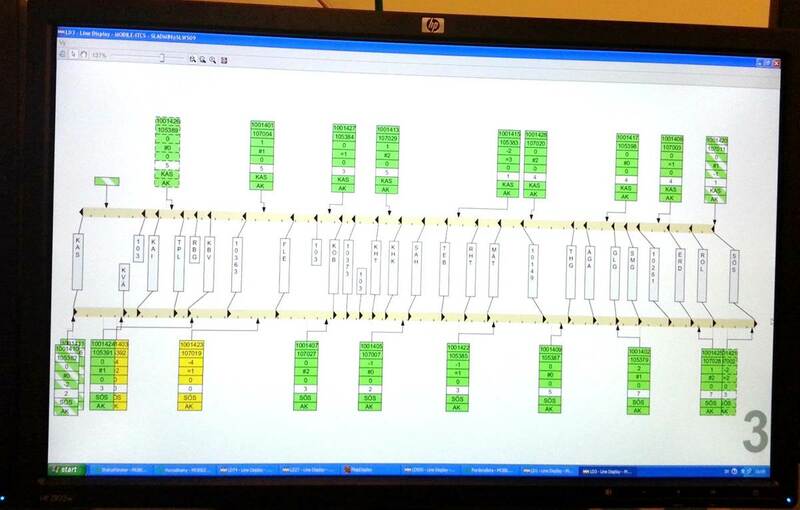 The implications of a control strategy which regulates departures from all stops based on the headways from the preceding bus and the following bus were evaluated using BusMezzo, a transit operations simulation model. The analysis of the results highlights substantial potential benefits from implementing a decentralized regularity-driven control strategy that regulates the headways with the purpose of equalizing the headway from the preceding bus with the headway from the succeeding bus. This is in line with the results of an analytical study by Daganzo (2009). The results suggest that this strategy can improve service performance considerably from both passengers’ and operator’s perspectives. In addition, it implies a cooperative operation as the decisions of each driver are interdependent of other drivers’ decisions, allowing for mutual corrections. Field Tests for Service Regularity Improvement. A joint demonstration project with SL (Stockholm’s transit agency) and Keolis (bus operator). Responsible for the design, coordination, implementation, analysis and evaluation of real-time control and operational strategies. Involved the analysis of various measures of performance and incentive schemes based on empirical data and simulation studies. Financed by Stockholm Transport Administration. 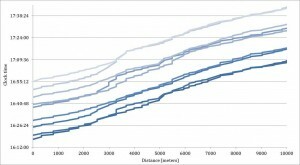 The time-space plots show empirical bus trajectories from one week prior to the field experiment (left) and one week following the introduction of the new strategy (right). This screenshot from the control center monitors shows the location of all buses along both directions of line 3 on a give moment and gives a glimpse of how evenly spaced they are. The project was selected for a KTH impact case in the last Research Assessment Exercise and received considerable media coverage. Cats O., Burghout W., Toledo T. and Koutsopoulos H.N. (2010). Mesoscopic Modeling of Bus Public Transportation. Transportation Research Record, 2188, 9-18. Toledo T., Cats O., Burghout W. and Koutsopoulos H.N. (2010). Mesoscopic Simulation for Transit Operations. Transportation Research Part C, 18(6), 896-908. Cats O., Larijani A.N., Burghout W. and Koutsopoulos H.N (2011). 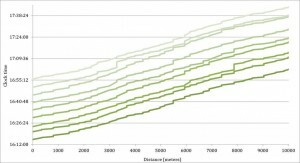 Impacts of Holding Control Strategies on Transit Performance: A Bus Simulation Model Analysis. Transportation Research Record, 2216, 51-58. Cats O., Larijani A.N., Ólafsdóttir A., Burghout W., Andreasson I. and Koutsopoulos H.N. (2012). Holding Control Strategies: A Simulation-Based Evaluation and Guidelines for Implementation. Transportation Research Record, 2274, 100-108. Cats O., Mach Rufi F. and Koutsopoulos H.N. (2014). Optimizing the Number and Location of Time Point Stops. Public Transport, 6 (3), 215-235. Laskaris G., Cats O., Jenelius E. and Viti F. (2016). A Real-Time Holding Decision Rule Accounting for Passenger Travel Cost. The 19th International IEEE conference on Intelligent Transportation Systems (ITSC), Rio de Janeiro , 1-4 November. Hlotova Y., Cats O. and Meijer S. (2014). Measuring Bus Driver’s Occupational Stress under Changing Working Conditions. Transportation Research Record, 2415, 13-20. Fadaei M. and Cats O. (2016). Evaluating the Impacts and Benefits of Public Transport Design and Operational Measures. Transport Policy, 48, 105-116. West J. and Cats O. (2017). Individual and Synergetic Effects of Transit Service Improvement Strategies – Simulation and Validation. Journal of Transportation Engineering, Part A: Systems, 143 (12), 1-9. Moreira-Matias L., Cats O., Gama J., Mendes-Moreira J. and de Sousa J.F. (2016). An Online Learning Approach to Eliminate Bus Bunching in Real-time. Applied Soft Computing, 47, 460-482. Gavriilidou A. and Cats O. (2018). Reconciling Transfer Synchronization and Service Regularity: Real-time Control Strategies using Passenger Data. Transportmetrica A, Accepted. Strategies for controlling multiple (overlapping, intersecting) lines are current subjects of research. The project develops a decision-support system that will facilitate proactive and predictive public transport operations and traveler experience. It involves the development of a simulation model to evaluate alternative operations strategies to support real-time control center decisions with a focus on passenger-based control and transfer coordination. In cooperation with Technion – Israel Institute of Technology, Keolis bus operator and Stockholm City. The project will develop a multi-level approach for monitoring, mapping, analyzing and managing urban dynamics in relation to interchanging travel flows. 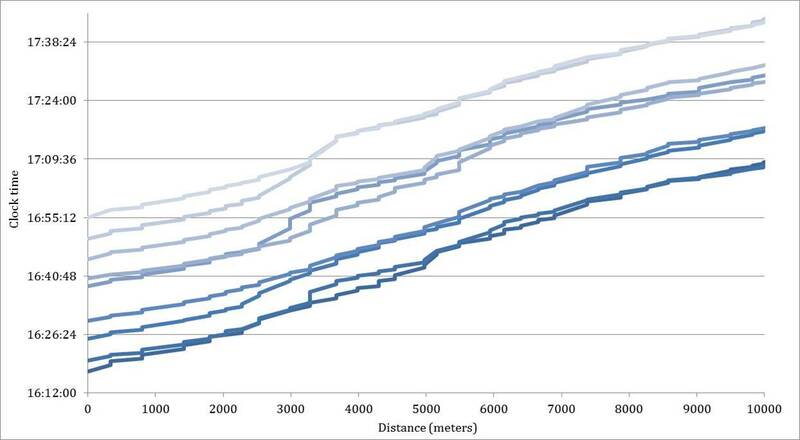 Analysis of pedestrian and traveler flows at the hub, urban and regional networks. 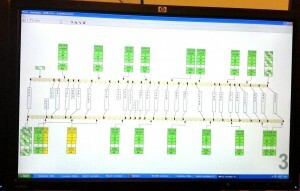 Control strategies incorporate information on passenger flows and service disruptions. The consortium consists of EPFL, IBM Research, LiU, BTH and ETRA. Local implementation partners are HTM and City of The Hague.